At A. Lewis Ward & Associates, our goal is to achieve wrongful death settlements to compensate for all damages our clients have suffered. We can provide you with superior support and legal education. If we take your wrongful death case, we will be tough when dealing with those who caused the accidental death of your loved one and their insurance company. When we take on a case, that means we’ll be with you every step of the way. We will provide reinforcement during your difficult time and do our best to represent you forcefully. Wrongful death settlements include the recovery of damages such as mental anguish, grief and loss of companionship. See below for a complete list of possible damages. 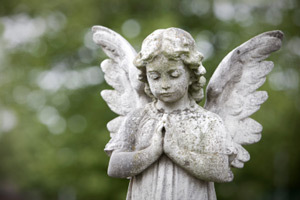 We realize that obtaining wrongful death settlements can be very emotional. Although nothing can replace the loss of a loved one, thankfully Texas laws guarantee certain rights to you and every citizen. To learn if A. Lewis Ward & Associates can help you enforce those rights, call (713) 961-5555, or email. A. Lewis Ward is an experienced wrongful death attorney in Houston courts. For more than thirty years, he has obtained the best possible wrongful death settlements for his clients and filed wrongful death lawsuits when necessary. A wrongful death suit is a claim made against the person or organization responsible for the wrongful death. If A. Lewis Ward & Associates handles your case, we will first try to settle the claim if the facts permit this option. However, it is our policy to give honest advice, including suggesting when to file a suit and go to court. We are not afraid to go to trial for you. A. Lewis Ward & Associates practices integrity and cares about doing the right thing. We get favorable wrongful death settlements, and if we represent you, we will uphold our commitment to doing our best to enforce your rights.